For 15 years, Millissime has represented the interests of Champagne Nicolas Feuillatte and Palmes d’Or! Champagne in the US, including: budget strategy, press & public relations, special events, sponsorship, trade relations, and advertising. Highlights of the successful partnership include: an annual multi-city winemaker tour (press, trade & consumer dinners), a significant increase in US media presence, several successful product launches, and creation of lasting partnerships in the worlds of gastronomy and contemporary art. The agency also secured some great partnerships with movie festivals and spokespersons from the entertainment worlds. Since 2001, the brand jumped in rank from 8th to 3rd best-selling brand worldwide. Millissime represented the Beaujolais region through: press relations, public relations, annual press trips, education of trade and consumers, coordination of importers efforts, organization of the Best Beaujolais Bistro Cup in New York, creation of the Best Beaujolais Bistro Cup in Chicago, and the jump start of the New York Devoir of the Compagnons du Beaujolais. This lead to the organization of quarterly dinners hosted in a different typical bistros each time, with wine pairings, inductions of journalists, trade and celebrities into the Order, and the booking of the Compagnons for outside Chapters in private companies in NY and throughout the US. Millissime managed a 3-year, multimillion-dollar consumer and press campaign to increase appreciation for cru Beaujolais and European olive oil in the US. We chose the cities of New York, Los Angeles, Chicago, San Francisco, and Atlanta particularly as targets of the advertising and promotions campaign. The agency conceptualized the whole campaign, obtained the funding from the European Union, French and Italian governments, and went on to hire and manage a national promotions team, an ad agency, a series of ambassadors, and a web design agency. Millissime then supervised the creation of the creative rollout, the media plan, the campaign-specific website, planned twice-annual press trips to France and Italy, coordinated national sponsorships, and handled all press and public relations (including a television campaign) for the Licensed to Chill campaign. Last but not least, Millissime stayed on schedule vis a vis the EU regarding an extremely precise retro-planning, budget follow through and weekly, monthly, and bi-yearly reporting. Demystifying Burgundy for consumers for centuries, this venerable old negociant wanted to announce to the world that they were now certified organic: who else to turn to than to Millissime! Being extremely familiar with Beaujolais vineyards after 8 years of representing the interests of the region's interprofessional group in the US, Millissime is planning an event for a group of 15 top quality producers of cru Beaujolais. The tour, a 5-day, 3-city tour of the New York, Chicago, and Washington DC markets in the Spring of 2009, includes trade seminars, press lunches, walk around tasting and consumer dinners. Millissime is helping by uniting forces with local importers and distributors, while helping the growers without representation get their feet in the door of the US market. 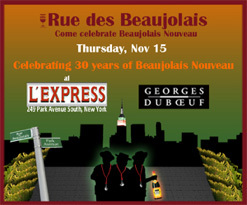 A worldwide celebration of Beaujolais Nouveau live streamed on giant screens? Sure, bring it on. What do you mean super storm Sandy will stop us?? That’s not counting with the famous resilience of new Yorkers and their Beaujolais lovers. Millissime consulted for Sud de France Export in 2009 to help the agency establish itself in the US via the installation of the Maison de la Region Languedoc-Roussillon. Millissime handled press, event production, and planning of a dinner at Benot for the Inauguration of the Maison de la Region Languedoc-Roussillon, the fifth worldwide outpost that facilitate trade access to the wines, culinary products, and industry of the southern French region. 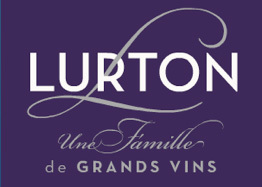 Other projects include a 10-day trade and consumer promotion for Autumn 2009, uniting importers, distributors, retailers, and hospitality professionals to introduce consumers to the Sud de France brand of wines and culinary products. The agency helped re-launch the Vichon brand in the US, and promoted an annual Tocques & Clochers event in the US via a sommelier and wine-buyer program. Millissime helped to put Sieur d'Arques on the radar of Wine Spectator as an avant-garde Languedoc winery, and helped conceptualize and launch a new T&C wine label for the US market. Millissime organized a tasting showcase in New York City for the trade and press for this prolific wine family, uniting 11 out of the 15 members of the association. Since 2005, Chateau Brane-Cantenac, a second growth Bordeaux, has counted on Millissime for public & press relations, trade relations, organization of press lunches, participation in trade tastings throughout the US, and generation of brand exposure through strategic partnerships with other chateaux of Bordeaux. 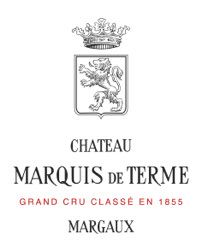 A new Director with years of experience with some of the best Bordeaux Châteaux, an esteemed but little known Margaux, a complex distribution system made even more difficult by the exit of the largest Bordeaux player in the US: here comes Millissime! The flying winemaker does not lack reasons to communicate about his great properties all over the world: based in Bordeaux but seldom there, he pays us regular visits in New York to promote his wines and taste them with trade and press that we gather for him. Milissime has represented Viu Manent since 2004, a century-old family winery in Chile's Colchagua Valley, via press relations and event planning in the US. Through connections with key trade players and successful production of press luncheons and conferences, Millissime has helped increase American appreciation of this standout value winery. The Clos de los Siete project started almost 2 decades ago in Argentina when Michel Rolland visited Mendoza. He believed in the terroir so much that he invested in a very large land which he proceeded to hand back in parcels to his fellow Bordelais. 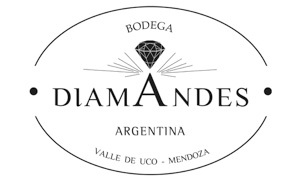 One such project is DiamAndes. When the bodega was finally inaugurated in December 2010, the owners turned to Millissime to help them launch their new wines in the US, from press relations to finding new distribution network. Campo Eliseo, Toro, a project by Michel Rolland and François Lurton. A little foray into the wines of Brunello: o yes! We’d do anything for another occasion to wine and dine our best trade and press contacts inside a fine Italian restaurant’s cellar. Everyone knew the Wagner family and their Caymus Cabernet. 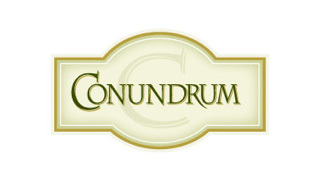 But their Conundrum white blend was not selling as much on the East coast as the family was hoping. Enters Millissime with a very targeted marketing plan and a push to the sales force. The rest is history as Conundrum now has a red little brother! Millissime is planned the 2010 International Congress of the Maitres Cuisiniers de France in Las Vegas, including sponsorships, press relations, production of 1 week of events for up to 250 professionals, and consumer-focused events. Millissime has helped to launch the gourmet online retailer EpicurePantry.com, garnering press articles and increasing awareness among the restaurant trade for this great source of fine European nut and seed oils; olive oils; classic, fruit, and vegetable vinegars; salts; mustard; spices, Griottines; sweet delicacies and more.